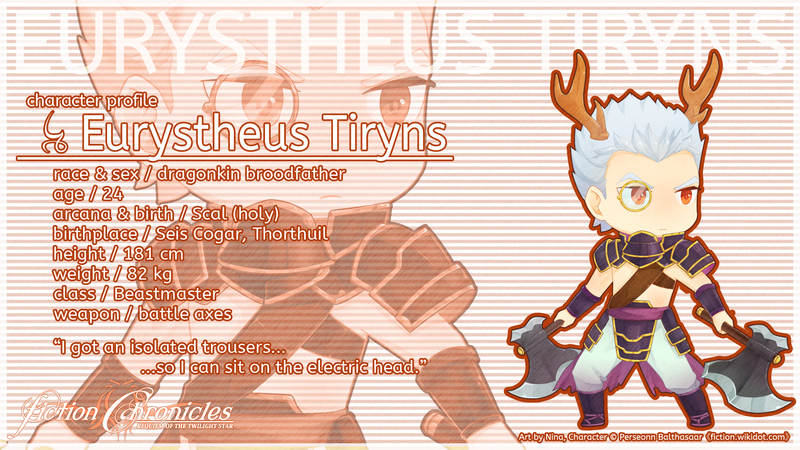 Eurystheus Tiryns is a dragonkin Beastmaster from Seis Cogar, Thorthuil. He is the son of Nicippe and Sthenelus. Believing he had disappointed his parents, Eurystheus embarked on a journey to prove that his choice of being a Beastmaster was not in vain. He heard rumors about the Aistear Creidimh, a realit-warping region in which intrigued him to study the beasts there. During his search, he met Renn and initially refuses his offer to go together. After a while, he realized that he has no leads and joined Renn's party during their second encounter. 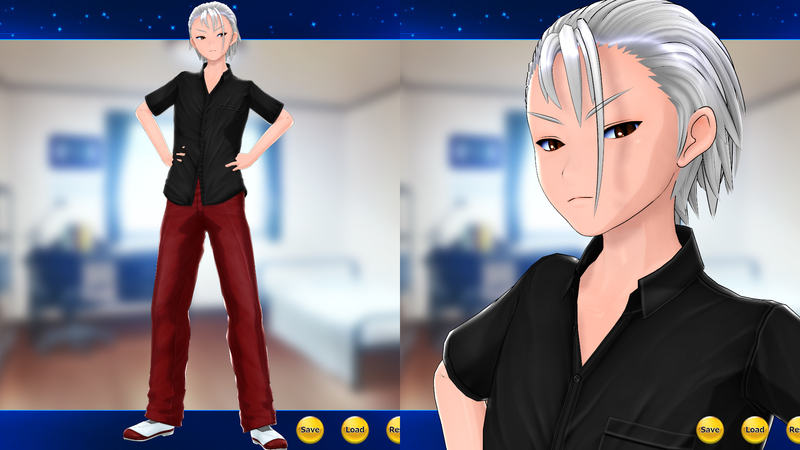 He has orange eyes and slicked back white hair. He is pretty insecure about his relationship with women in addition to being completely oblivious to the fact that he is actually desirable. He does not have much sense when it comes to naming his tamed beings: his Cerberus was named Pooch, along with Jack Frost named Jack, and a Jill Frost named Jill. In battle, he wields twin axes and also deploys beasts that he personally trained. He excels in grilling meat since that is all he learned during his training days. He can make the sauce from any herbs and fruits he can find. When idling in a town, he can be found either in pubs along with his tamed beasts, or in hunter's guild, doing errands. His journey represents his experienced self. He compete for, defend, provide for, and maintain that which he knows is his. He accepts responsibility for his power, and his strength can create and build. Eurystheus' name was taken from the King of Tiryns in ancient Greek. 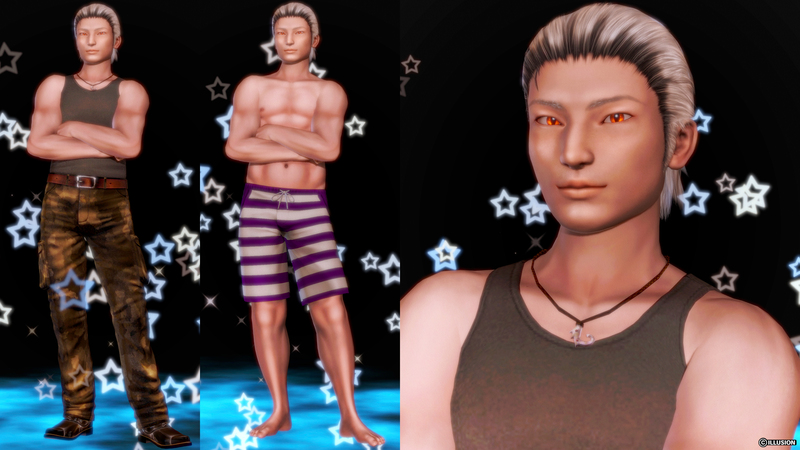 He is 24 years old during the event of Requiem of the Twilight Star, 181 cm tall and weighs 82 kg. Eurystheus' basic concept. 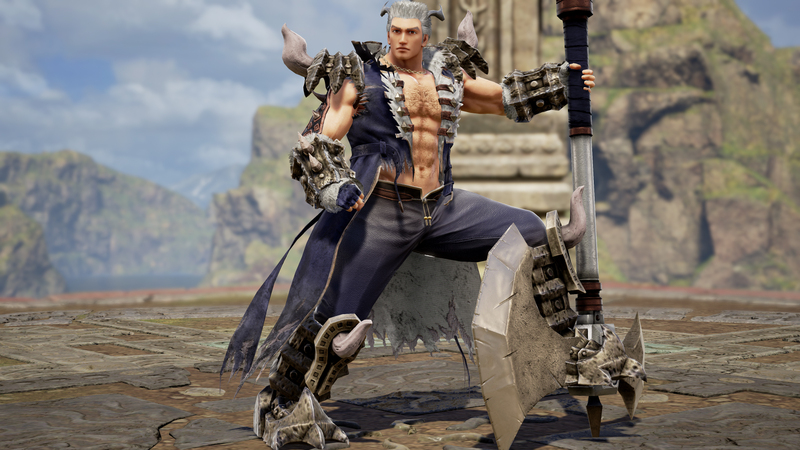 He surprisingly is one of my creation that looks best in SC3. Eurystheus isn't as glorious as he used to be in Soul Calibur III. His charisma is all broken down when using Yun-seong's moveset. This outfit follows his Beastmaster revision. Due to the tasset, he's missing the monocle. His color scheme is #073, Romantic Minerals. Perseonn Balthasaar: This is the best classic Eurystheus version. I think I'm going to make this as one of his default costumes. Perseonn Balthasaar: I tweaked a bit from the submitted version. A thicker version of his beastmaster outfit. Looks good! Buster might be the only one who remembers that he is based on Ryuji Yamazaki. 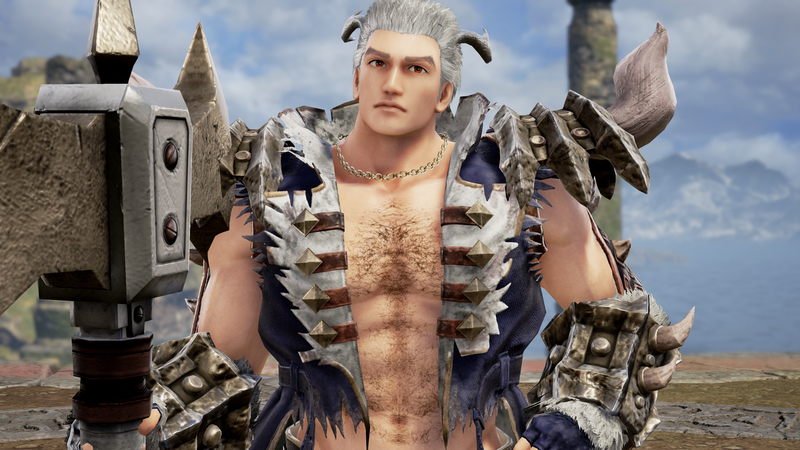 Compared to his SC3 and SC4 incarnation, this one ditched the noble look, opted for a muscular Beastmaster outfit, in contrast with Renn's sleek look. This is a callback to his SC3 outfit, with a modified body parameter so he doesn't look as beefy as his first costume. Eurystheus' casual beastmaster outfit. The outfit still maintains flow while being simpler. His moveset is a combination of Axe and Sword his preferred weapon in fiction. This is contrast to Perseonn who is also a dragonian and uses Twin Swords. I put more leather on him compared to his updated 7E look. This is his kingly outfit. The Poleaxe is too large for him, so I prefer the Dual Axes since he also dual wields, albeit one of which is a Sword.